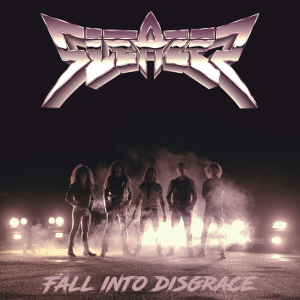 Italian Heavy Metal band SLEAZER has just released their full-length album “Fall Into Disgrace” through INFERNO Records on February 20th. The band was founded in late 2011 and has been playing Heavy Metal music influenced by mid 80’s and early 90’s bands like Iron Maiden, Savatage, Running Wild, Savage Grace, Dokken, Judas Priest, W.A.S.P. and early Blind Guardian. 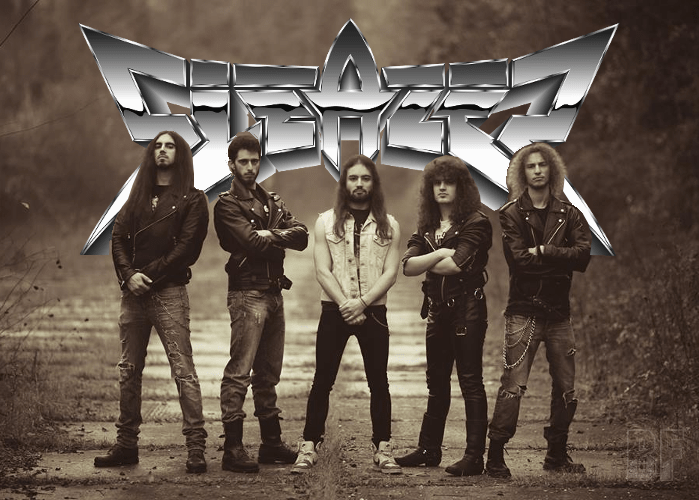 The band rakes an old school style between Heavy Metal, Power Metal and Hair Metal, winking at the new “traditional” Heavy Metal bands like Skull Fist, Enforcer, Striker and Cauldron. The band started from playing cover songs, and released their first self-produced demo “Heroes Of Disgrace” in October 2014, which earned good response from audiences in the Italian underground scene. The band has played the opening for bands such as Vision Divine, Cobra (Perù), Violentor, Sabatage, Ancillotti, Revenge (Ita), Sign of the Jackal, Sabotage, Folk Stone, Scala Mercalli. SLEAZER took part in a contest for emerging bands took place in Senigallia (AN) and won it.